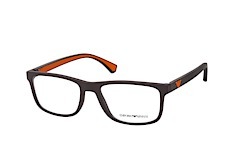 Are you looking for glasses but don't want to run from optician to optician trying different frames? We have good news for you. Finding the perfect pair of glasses has never been easier and can be done from the comfort of your own home! 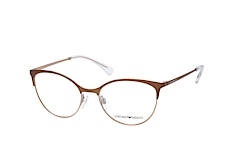 With a huge selection of more than 4,000 pairs, there is something for everyone at Mister Spex. Read on to find out what you should consider when purchasing new prescription glasses online and how to find the right pair to suit your face shape, fashion and lifestyle. Today, 69% of people in the UK wear glasses. But not everyone needs them for the same reason. For some, it is to correct shortsightedness, for others it is to help with longsightedness, or for reading. In any case, eyewear should not just be functional but also fashionable. We have thousands of pairs of prescription glasses from today's hottest designers. 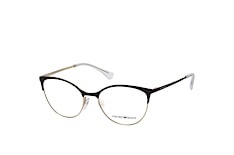 Choose glasses frames from Ray-Ban, Oakley, Tom Ford, Boss, Michael Kors and more. Single vision: Single vision lenses correct either longsightedness (hyperopia) or shortsightedness (myopia). Prescription values with a plus are for longsightedness, whereas values with a negative are for shortsightedness. As long as the values are not very high, there are no special hurdles when selecting frames. For most people, a pair of prescription glasses with single vision lenses is the right choice. It is only in the case of high dioptre values in the minus range that you need to resort to thicker spectacle frames. If you are unsure, contact us - our team of experts is happy to help! Reading glasses: From about the age of 40 upwards, a natural loss of function of the eyes makes itself felt - a condition known as presbyopia. As the years go on it can become more difficult to make out the words in smaller texts. In this case, often reading glasses are in order. They are designed to correct vision in a close range of approximately 30 to 45 centimetres. The only downside is that reading glasses must be constantly put on and taken off because they distort long-range vision, which is why the frames are so narrow. A practical alternative, especially for those who already wear eyeglasses to correct vision problems, is varifocal lenses. Varifocals: Varifocal lenses correct not only shortsightedness or longsightedness, but also presbyopia. Their lenses have three different zones: the upper area corrects shortsightedness or longsightedness, the middle is the area for interstitials, which also allows for a seamless transition from near to far vision, and the bottom replaces the reading glasses. For the three zones to have enough space, only larger frames with sufficient space can be fitted with varifocal lenses. 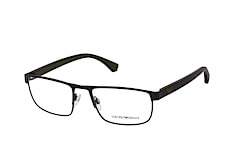 Small frames are not suitable as varifocal glasses. Face shape: use this filter to find frames that match your face shape. Choose from round, square, heart-shaped or oval. Frame width: as a general rule, glasses frames should not be wider or narrower than your face. The exception, of course, is a striking model selected to make a fashion statement. If you already have a pair that fits you well, you can measure the width along the top frame line and enter it directly in millimetres. Just click on the ruler which is shown under the filter. 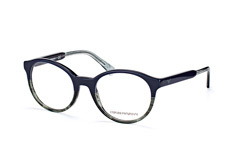 Frame shape: if you like glasses of a particular shape or frame style, you can select them here. 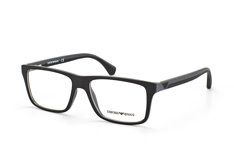 Choose from narrow, rectangle, square, round, aviator, cat-eye or sporty. However, if you are unsure about what is best for you, we recommend using the face shape tool to find a flattering style. 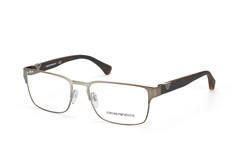 Frame type: this filter sorts models by rimless, full-rim or half-rim. 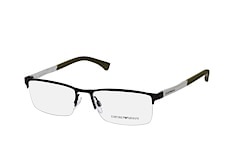 Rimless glasses are very discreet and ideal for a minimal look. Full-rim is the classic style, but can also work as a striking, on-trend accessory, thanks to a variety of colour and shape variations. 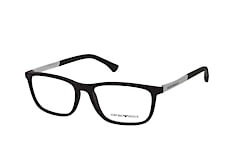 Half-rim glasses are available in two styles: those with a lower half-rim are often used as reading glasses, whereas an upper half-rim is a trendy accent - but still more subtle than full-rim. Colour: it is best to consider your hair and eye colour when shopping by colour. Lighter types should opt for golds, browns and pastel colours. Bold and strong colours are best for darker features. Material: if you are looking for a specific frame material, this is your filter. Plastic frames provide a comfortable fit and are available in a wide range of shapes and colours. Metal, titanium or carbon frames are ever-classic and extremely robust - and are the best option for those who want very thin frames. For a trendy yet eco-friendly look, opt for wooden glasses. Buy quality yet affordable glasses online - a step-by-step guide. Ordering glasses online may seem like a strange and daunting process. However, we at Mister Spex have done our very best to make it as uncomplicated and risk-free as possible. What's more, you can try on eyeglasses without risk: simply use our online fitting tool or order up to four models to try on at home. Read on for our step-by-step explanation for buying prescription eyewear online and please do not hesitate to contact the trained opticians on our customer service team if you have any questions. Use the filter options on the left side of our website and narrow your selection according to your personal needs to create a wishlist. Use our online fitting tool: either upload a photo of yourself or try on the selected glasses virtually with your webcam in 3-D. Choose up to four pairs of frames to try on at home. You can then try them risk-free and under no obligation for up to ten days. Choose your pair, give us the details of your prescription on the enclosed return note and return all four frames free of charge. Of course, if you know what spectacles you want, you can go right ahead and place your order. It is really that simple! 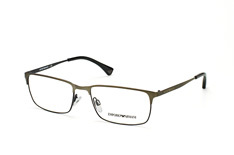 The price of each model includes quality lenses, with ultra-reflective coating, hardening treatment and UV filter. 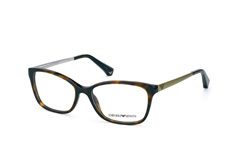 Start your search now by browsing through Mister Spex's extensive range of eyewear.